When my addictive-leaning beauty collecting began, I was all about lip gloss. There was no such thing as too many, even if they all kind of looked the same in the end. i eventually moved on from the glossy stuff, and like most everyone else, favour a liquid lipstick more often than not. That said, in recent months I've come back around to a glossier look and the ease of a little gloss. 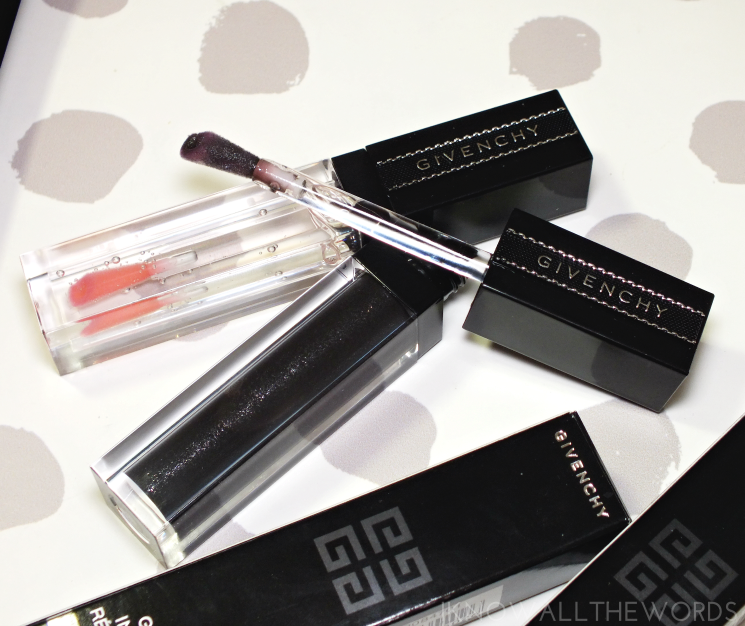 New to my glossy gang are two rosy options from the Givenchy Gloss Interdit Vinyl range. 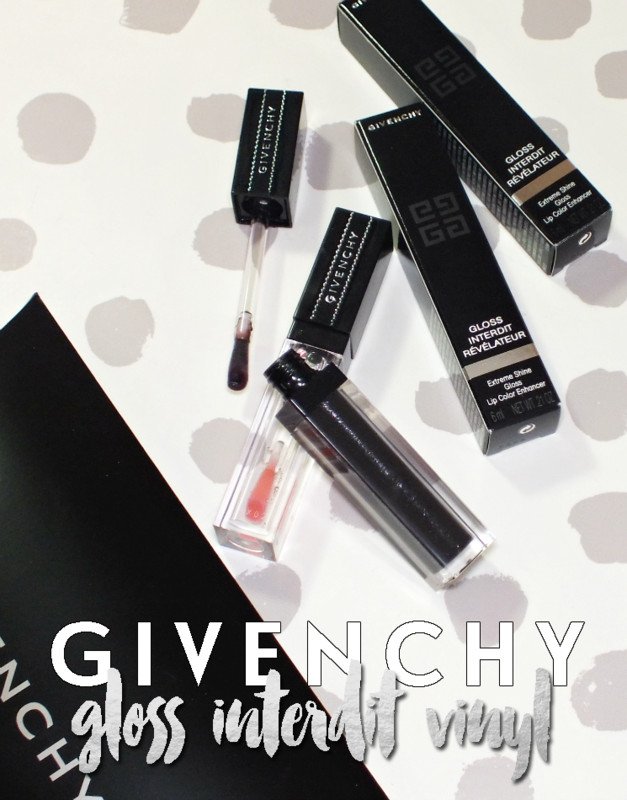 The Givenchy Gloss Interdit Vinyl range is currently home tow twelve, medium coverage shade that are designed to give lips a high shine, naturally-voluminous look. Featuring black rose oil (and a very subtle rose scent) the gloss is super comfy on lips, feels lightly hydrating and has zero tackiness. The range has recently had a bit of a makeover, with a new formula, packaging, and now boasts super cute G shaped foam tip applicators. The G isn't merely for looks, but is said to also pick up more product for an even spread of colour on lips in single stroke. Single stroke may not be exactly accurate, but I quite like that you don't have to dip into the tube multiple times to get enough gloss. As mentioned, there are twelve shades in the range, but three of them are a little extra special. Givenchy calls them their 'powerful star shades' that work as 'made-to measure colour boosters'. Otherwise known as adaptive or pH changing glosses that will read differently based on your own compostion. 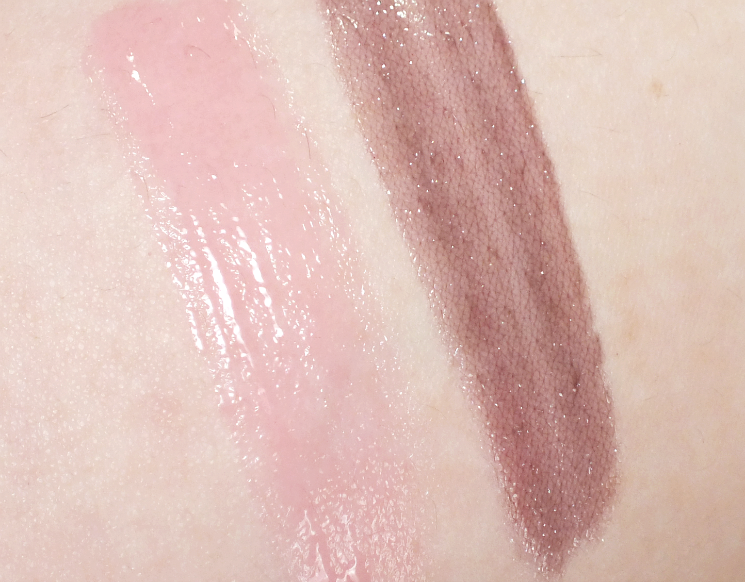 Of the three shades, Rose Révélateur is the most subtle, and looks like nothing more than a clear gloss in the tube. The shade transforms pretty quickly on lips, however, and turns into a natural lip shade enhancer, which is a soft, rosy-pink on me. Noir Révélateur looks like an intense, shimmery black in the tube, but works to enhance natural lip tone with added depth, that reads as a rosy-berry shade on my lips. it takes a moment to transform, and I do find it needs a little maneuvering to avoid grey patches from developing in lip lines, but is quite pretty once on. 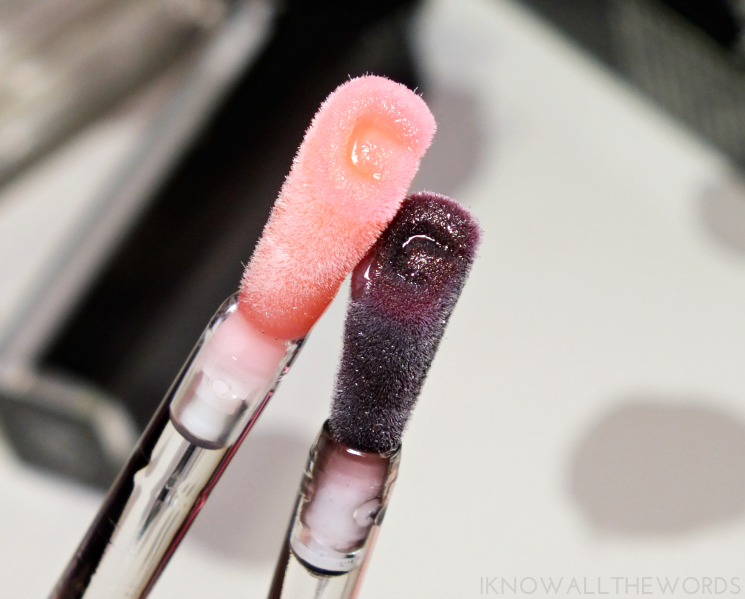 Overall, I am a total fan of these glosses! i really didn't expect to love them as much as I do, but they make lips looks naturally perfect and just wear so nicely. Additionally, both shades also wear well over lipsticks or liners (without being too slippy or moving base colour) and don't feel like too much product on lips. What do you think? Are you embracing gloss? Tried any shades from this range or want to?